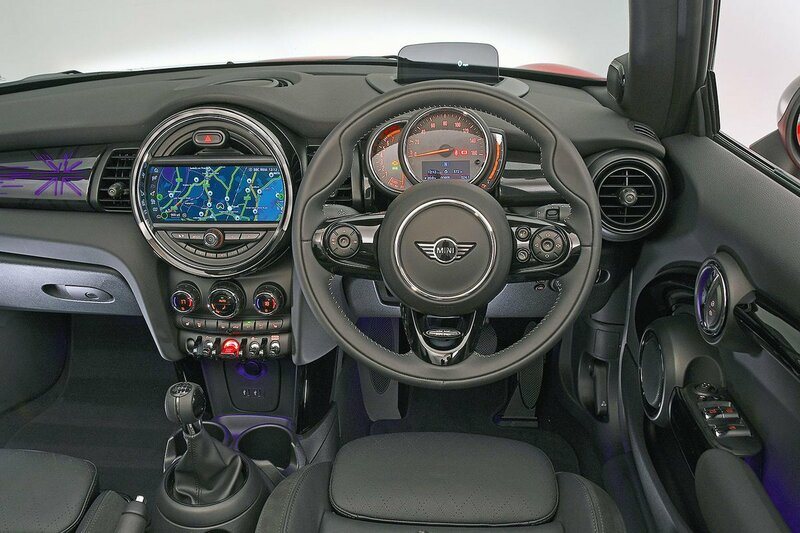 Mini Convertible Interior, Sat Nav, Dashboard | What Car? The driver's seat is comfortable and there's a fairly wide range of adjustment as standard, although some of the controls can be hard to reach – particularly the lever that alters the angle of the spring-loaded backrest, which proves awkward to adjust. Another issue is the offset pedals; shorter drivers in particular will find that it leaves their legs skewed over to the right while some may find the seat doesn’t slide far enough forward. The layout of the retro-themed dashboard may look rather higgledy-piggledy, but the important controls are logically positioned and easy to use. The toggle switches in front of the gearlever look and feel great, but it can be tricky to see what they do on the move. Forward visibility is great, thanks to the snub-nosed bonnet and slim windscreen pillars, but it’s a different story looking rearwards. 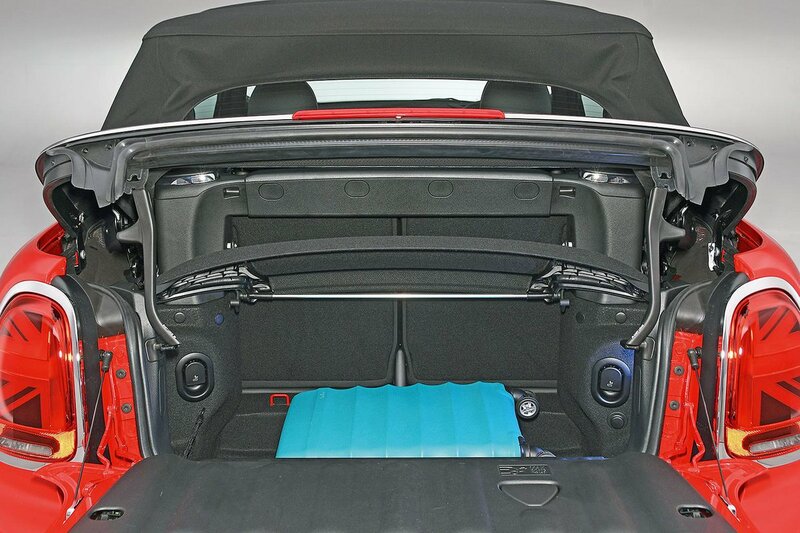 Roof up, the large fabric rear pillars blot out a fair bit of what lies behind; when folded, the roof languishes on the rear deck, filling most of what’s in the rear-view mirror. Given those rear blindspots, it’s just as well that rear parking sensors are standard and a reversing camera is available. What’s more, if you fear for your alloy wheels’ wellbeing, you can spec an automatic parking system that will steer the car into a space for you. 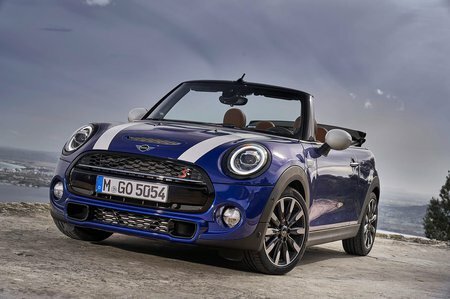 As standard, the Mini Convertible gets a 6.5in colour screen, with Bluetooth, a digital radio and a USB input. The screen is controlled via a rotary switch positioned in front of the gearlever, with shortcut buttons that help make frequently used functions less of a faff to access. It’s generally easy to use and very responsive. Sat-nav is an option on all trims and also brings Apple CarPlay smartphone mirroring (but not Android Auto). You can spend more and get an 8.8in touch-sensitive screen with a split-screen function, more advanced sat-nav, wireless phone charging and a second USB port. It’s a pricey option, but it does give you the best infotainment system in the class.